عندما تزور هذه المدينة رائعة الجمال، ستشعر أنك في بيتك في منتجع بيبرز بلو ووتر الذي يقدم لك إقامة متميزة و خدمات عظيمة. يمكن من هنا للضيوف الاستمتاع بسهولة الوصول إلى كل ما تقدمه هذه المدينة النابضة بالحياة. يضفي محيط الفندق اللطيف وقربه من أكثر المعالم السياحية جذبًا سحرًا خاصًا على هذا الفندق. كما يقدم منتجع بيبرز بلو ووتر الكثير من الخدمات لإغناء رحلتك في المدينة. يمكن للنزلاء الاستمتاع بالميزات التالية: مكتب الاستقبال على مدار الساعة, مرافق مخصصة لذوي الاحتياجات الخاصة, تسجيل وصول/خروج سريع, تخزين الأمتعة, واي فاي في المناطق العامة أثناء إقامتهم في هذا المكان الرائع. تنعكس أجواء منتجع بيبرز بلو ووتر في غرف الضيوف.تلفزيون بشاشة مسطحة, بياضات, مناشف, اتصال لاسلكي بالإنترنت, حوض الاسترخاء هي بعض الميزات الموجود في العديد من الغرف. يمكنك الاستمتاع بالأجواء المريحة التي تقدمها مسار جولف - ضمن 3 كم, التزلج على الجليد, صيد السمك, حديقة طوال النهار. إن منتجع بيبرز بلو ووتر هو خيار ذكي بالنسبة للمسافرين، فهو يوفر إقامة هادئة ومناسبة للاسترخاء. وسيتم ترتيب الأسرّة في على شكل سرير كينج واحد في كل غرفة نوم ما لم يطلب غير ذلك عند الحجز. وسيخضع تغيير تشكيل الأسرّة بعد الوصول إلى رسم إضافي قدره 30 دولار نيوزيلندي. سيتم إغلاق مطعم وبار Rakinui مؤقتًا من 10 يونيو 2019 حتى 14 يونيو 2019. وخلال هذا الوقت، سيوفر مكان الإقامة بوفيه إفطار كامل في Mackenzie Room، كما سيتوفر عشاء من اللحوم بالإضافة إلى وجبات الطعام والوجبات الحرارية. Booked the villa upon recommendation of friends. Indeed it’s a great place to stay in Queenstown if you are travelling with extended family. There are 3 bedrooms on 2nd floor and a large living room + open kitchen on ground floor. Outdoor patio is huge and you can enjoy the amazing lake view. We stayed 3 nights and used the fireplace everyday - it’s a wonderful touch for a relaxing holiday. There is a nice walking trail to go down the hill if you wish. Overall we love it very much and kids rank it as the number 1 accommodation in our 2 weeks trip. The 2 bedroom apartment is huge with the bedrooms and toilet on the ground floor and a big living area and kitchen on the upper floor. Rooms are clean but the air conditioning was blowing hot air instead of cold air on the hot summer days. The front desk staff was slow to check us in and was not friendly like the staff at the other accommodations we stayed in. The photos of this resort on Agoda focus on external facilities, and do not show how spacious the 2 bedroom suite actually is. The bedrooms are clean, and the space of the living, dining and patio exceeded my expectations. The kitchenware was well stocked, new and clean. The living area has a large TV with ample entertainment channels. 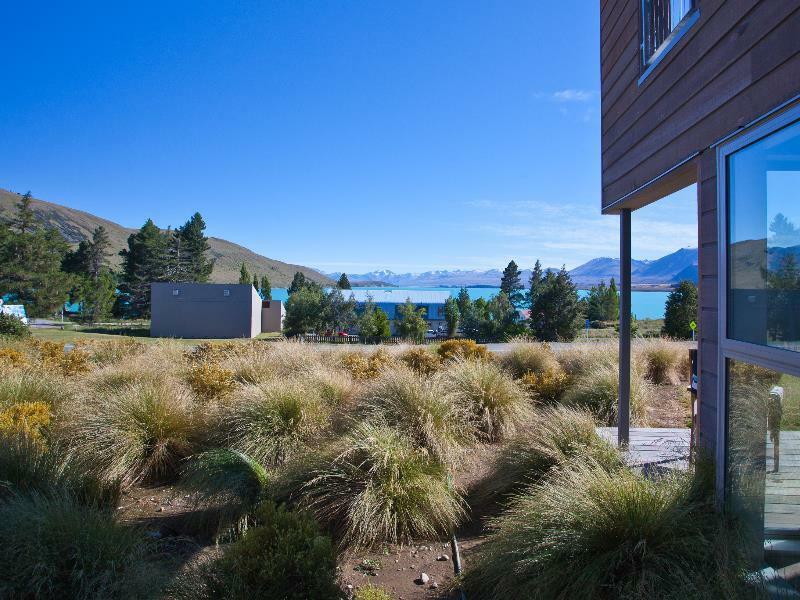 Lake Tekapo village is nearby, merely minutes drive away and very convenient. We also had the buffet breakfast and it had adequate variety and worth the promo price we paid for. The place we stay Feels POSHED!!! Classy and elegant, kind and friendly staff all around the place ready for you. But what was the best is that the location of the hotel is just right a distance away from Lake Tekapo and if you are the person that like timelapse and such, this is a good place, to view the lake and also mountains and seeing mt john in a whole. The place is just 5mins walk away from the heart of all the food and supermarkets and such Super Convenient. Lastly the apartment itself, we are amazed as its 2 stories with 2 bedroom a super huge living room with cooking facility and a big balcony (: The place is super comfy and things used are good! Washing cooking and such all available in the apartment itself. The studio apartment was just amazing! 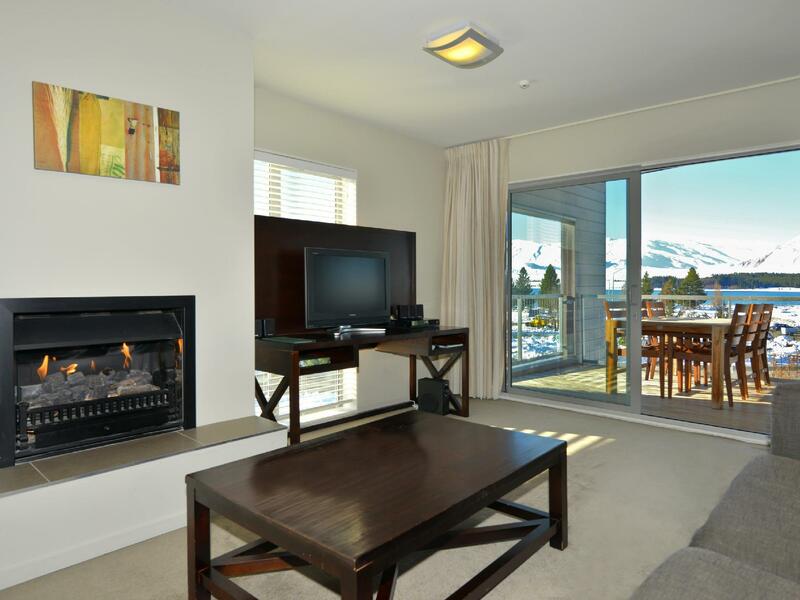 It has all the necessities you need and more for your stay at Lake Tekapo. It makes you really just want to sit back and relax at your balcony while admiring the scenery of the lake. The location is good and the resort is large, we booked the 2 rooms apartment. However the dish washing mashine seems a bit smelly and when we cooked there is no basic material like salt pepper... also for the LG washing machine, the clothes is not dry even we try to dry it over an hour... for the wifi it is limited and super less , it just like do not have wifi Breakfast do not have much choice but we still pay for that. The room is nice and clean with good supply of kitchen utensils including washing machine. And coffee maker. The service was good and we got most of the information from the counter. Small town equipped with all necessities and all of them are quite close. Split level suite, lower is the bedroom and also washing machine+ dryer (under the stair). Upper level is the living room with sky tv and also kitchen which is very complete (stove+microwave+over+fridge+all the kitchen equipment). Room is completely clean and comfortable. 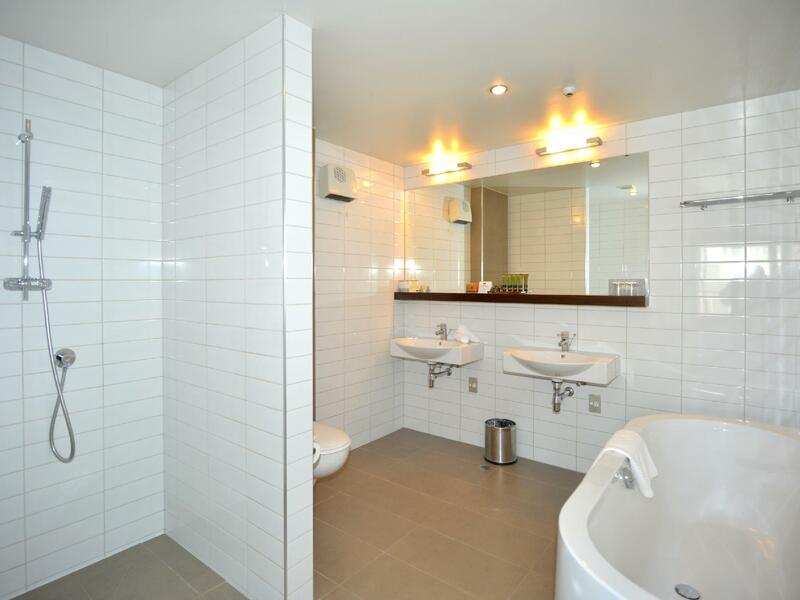 Bathroom with shower and bath and complete with heater. I came for check in on 4pm but the room is not ready. They offered us cuppa beverage and definitely good. But the Internet given was only 250mb which is ridiculous low allocation. Easy to find this location. The apartment we had was huge. Unique and thoughtful structure as the rooms are in the lower floor and the living room and kitchen are on the 2nd level. Thus there is no need to carry your heavy luggage upstairs. Near to supermarket and eateries. Value for money, two bed rooms on the ground floor and living room/kitchen at second floor, definitely designed for travelers with big luggages. It would be even better if there are two bathrooms/toilets though. We arrive at night and the weather not friendly outside, stop at reception to check in and got the instruction to my room. i have hard time to find coz no one around to show us and had to handle two big luggages, one small bag, and baby stuff to second floor all by myself. Besides that all thing go as desired, room is fabulous, the view is breathtaking and room facilities can’t complain any. This resort was beyond our expectation! We had a two bedroom apartment and it was spacious, modern, cosy and well equipped. The upstairs area had so much seating and room, with a balcony overlooking the lake and mountains. It was a bit chilly to enjoy it completely! The view from the upstairs area was spectacular. The location is excellent, being almost across the road from the centre of town. We didn't eat out as we had big days and found it easier to prepare something in our room. The kitchen has everything you need! We were also delighted to have a washing machine in the apartment to use before moving on. We spent two nights here and found it was enough time to explore Lake Tekapo. Our only criticism was that staff turned up to clean our room at 6pm at night when we had started cooking dinner. We told them not to worry. Found this to be a very inconvenient time to service a room. Despite that, we loved this resort and would recommend it in a flash! The view from this hotel is beautiful. It's about 500 m to Lake Tekapo. Recommend for everyone who looks for perfect location and view. Excellent accomodation. We were given a huge apartment, bedroom, bathroom down stairs. 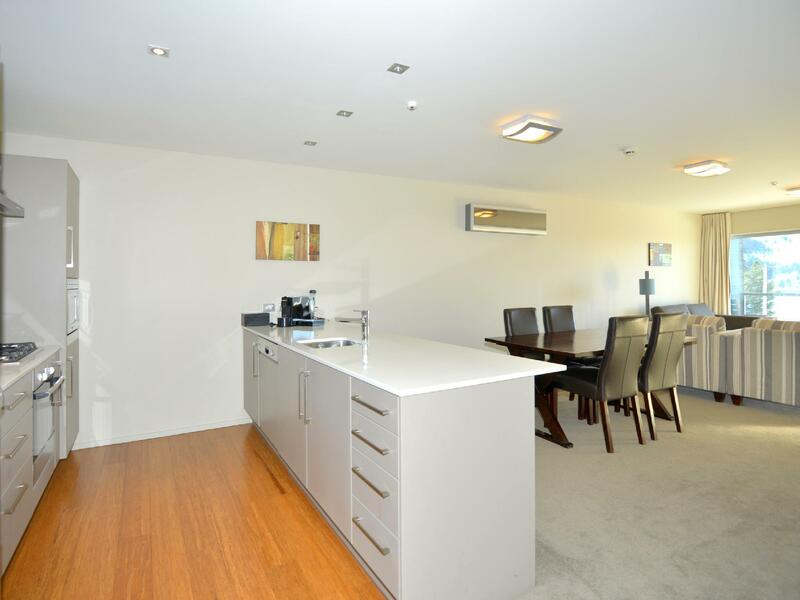 Full kitchen, dining and lounge room upstairs. While it was beautiful, we were only staying one night and would could stay longer and will be back again ! I'm with a big group of families with young children, we booked 3 rooms. we had a pleasant stay! the pinkish morning sunrise sky and sunset was outstanding. I saw people walk to take picture of the sunrise to the lake, so i guess it was near. the only thing I wish was better is that the room and the living room was in one floor. it is a bit tricky with 18 month yrs old running up and down the stairs. but almost this kind of hotel in NZ have this set up. I guess at least the room is in the first floor, that way we dont have to carry all the luggages upstairs. overall I love love my stay here!